FINALLY A MANGA I can relate to. 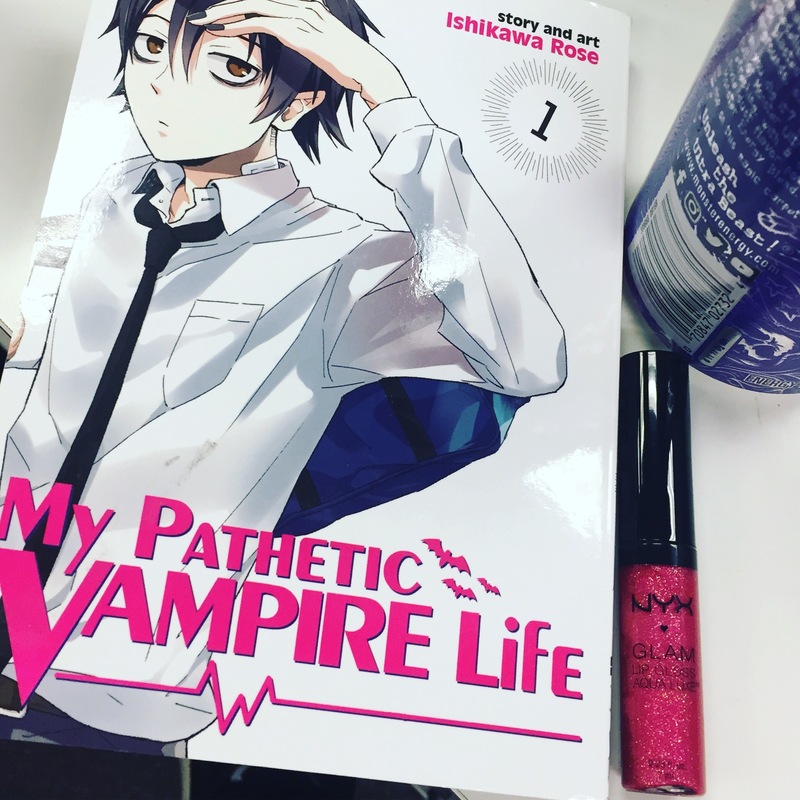 My Pathetic Vampire life is about teenage boy Koide who was turned into a vampire at age 16. 133 years ago. After that much time, his life has gotten boring and pathetic. BUT HE HAS HIGH HOPES FOR THIS YEAR. Well, maybe not high hopes, maybe just hopes. 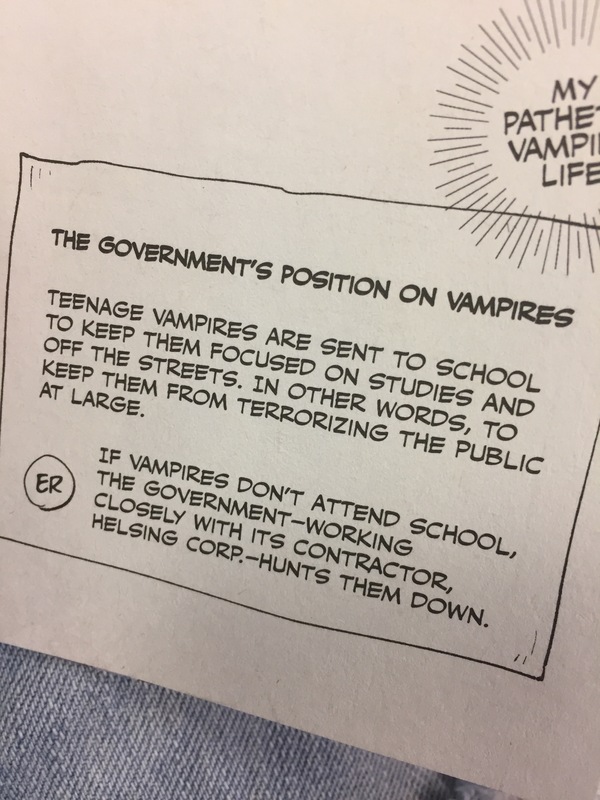 To control vampires, the government keeps them in school. He’s doomed to repeat his sophomore year forever. He never gets to advance. This is terrible (and a really weird way to control vampires…. put them with the children… ok). Everyone in his class knows he’s a vampire but they’re not impressed. Koide has a few friends – a fellow vampire that’s also 16 but technically older than him by a few hundred years (I ship them) and a group of enthusiastic bros that like Koide for some reason. They seem to get easily distracted, but they’re fun. Koide is bored of eternal life, it’s dull, and there’s a lot of good jokes about that. Imagine Twilight’s Edward, but enjoyable to be around, genuine and funny. And not abusive. The vampires in these books seem to be loyal to vampire lore, like the need to count things. They can go in the sun, but it makes them weak. Honestly??? I loved it. A lil repetitive with explaining vampire things too often, and reintroducing the characters every chapter but otherwise SUPER good. The next volume comes out in February and I’m about it.